This recipe will not only help you to have shiny hair and healthier skin but will bring you so much more health benefits. This recipe is gaining its popularity around the globe with each passing day. In order to prepare this recipe you only need water and rice. Maybe you have heard that rice-water is the water you are washing the rice in, but that is not true. If you use that water you will not gain even half of the health benefits you will gain if you use the “real” rice-water. 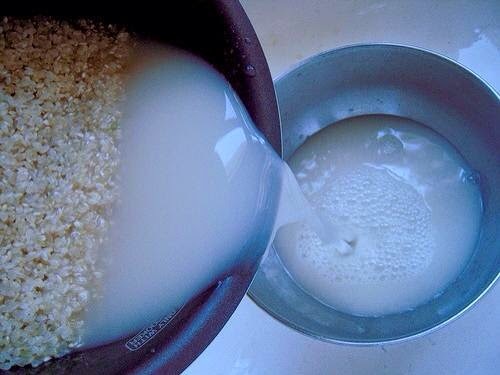 The “real” rice-water is obtained from the water you are boiling the rice in. Rice-water preparation needs more water than the usual rice-cooking. You actually need the water in which rice was releasing its useful ingredients. You can either drink the water while it is warm or use it to wash your hair or face when it is cooled.